Handmade journals with vibrant and bright covers! Bullet journals with calendars! Square albums for your instagram prints! All handmade by me, Emily. I hope you find something that inspires and delights you. Please send me a convo if you want something specific made. 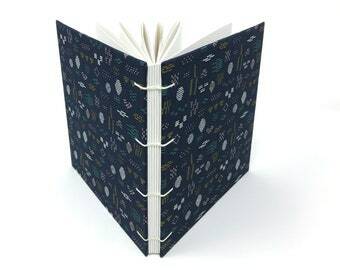 **If you see a journal, bullet journal or photo album that you would like covered in another fabric that I have in the shop, please let me know. Most of the time, I will still have that fabric and can make the book you want. A really beautiful journal. It is well constructed and has a really wonderful feel to it. I could not be happier with this purchase. I have been using these bullet journals for years, and will continue to do so. They are well made and super cute. Thank you! This is my favorite journal. Well made and shipped quickly. Excellent customer service. Will definitely order from here again. December 2018 shows. I’ll be in Richmond, Durham, Wendell, Cary and Durham again. It’s holiday time, y’all!! Fuquay Varina! Chapel Hill! Norfolk! Raleigh! Find me in your town this fall! Call me old-fashioned but I still like to write things down. There’s just something different about putting pen to paper than there is in typing something. It’s more personal. It takes time. It gives you space. There’s something about having your thoughts represented in physical space, something you can hold in your hand. You can capture your present and read through your past. My joy is making vibrant, durable books that people use to organize, contemplate & chronicle their lives. 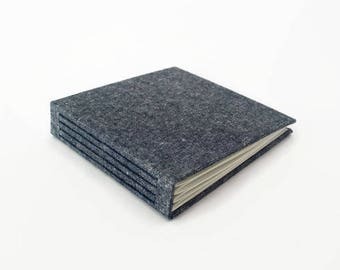 I've been learning the craft of bookbinding for 16 years. At my day job I repair books; at home I make them from scratch. There is a joy in crafting something from start to finish - envisioning how it will look and how it will function - and in the process of turning paper and fabric into a beautiful book where someone can tuck away their personal thoughts, dreams, photos and to-do lists. I'm a very visual person, a lover of color and pattern. The right color combination can totally brighten my day and change my mood. I'm inspired by bright, vibrant scenes as well as dark and moody ones. I could get lost for hours staring at a great pattern. My passion is combining my love of color and pattern with my love of bookbinding. The result is this shop. I hope you find something here that you love and will inspire you.